As the number of candles on your birthday cake steadily grows it is essential to strike that balance between just aging and aging elegantly. No one wants to look older than they really are. With age, the skin thins and grows less elastic. This not only shows on your face, but also your hands and neck. Many women worry about the wrinkles on their faces and use a multitude of products and procedures to keep their face looking young, but neglect their neck and hands which will often give away their true age. Worried about a turkey neck? You know that loose skin that seems to just hang from your chin. To hide turkey neck, you generally look for a nice scarf or turtleneck. If your neck seems to have collapsed in the past few years, it is because its skin is thinner than that of other areas. Don’t fret there is a great treatment for turkey neck. Ultherapy is a non-invasive treatment used to lift and tighten loose skin. It plays a significant role to improve wrinkles on the neck. It is a process in which ultrasound energy is used to heat targeted tissue under the surface of the skin. It helps in triggering the natural production of collagen. Some people might see an effect instantly after Ultherapy; while some experience it in two to three months as the collagen slowly improves the skin’s tone and elasticity. It is a surgery-free micro lift to give you a great look. With advancing age, loss of collagen and elastic fibers in the dermis leads to wrinkle formation. The skin on the hands starts to look transparent, crepe-like with bulging veins. 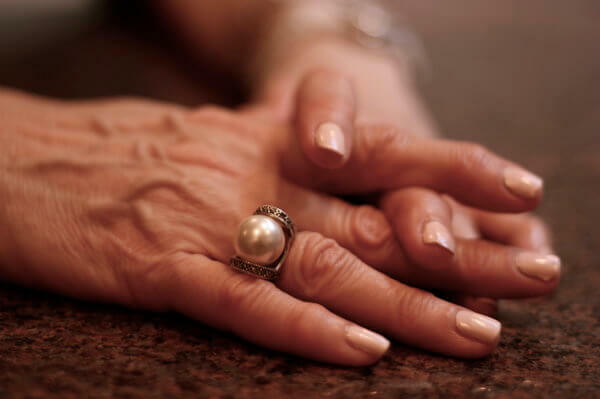 Hands often show these aging effects before the face develops wrinkles. Hands are the one body part that can really make you look older than you are. So what can you do? Radiesse is a latex-free, hygienic injectable that is now approved for use on hands. The product got approval for esthetic facial augmentation in the US about 10 years ago. The process allows long-lasting correction of moderate to severe wrinkles and folds in hands. Radiesse is a safe, effective, and dependable method. The process immediately replenishes volume to the back of the hands providing a youthful appearance. It raises the skin level so that veins lose their prominence. The treatment provides scaffolding for collagen-building. The skin is kept feeling natural and soft. No downtime required and the results are seen immediately. Let the skilled technicians at BodyLase® bring youth back to your neck and hands. Call them today to set up an appointment. Why Does Laser Hair Removal Take So Long? Why Do Lips Lose Their Plumpness With Age?